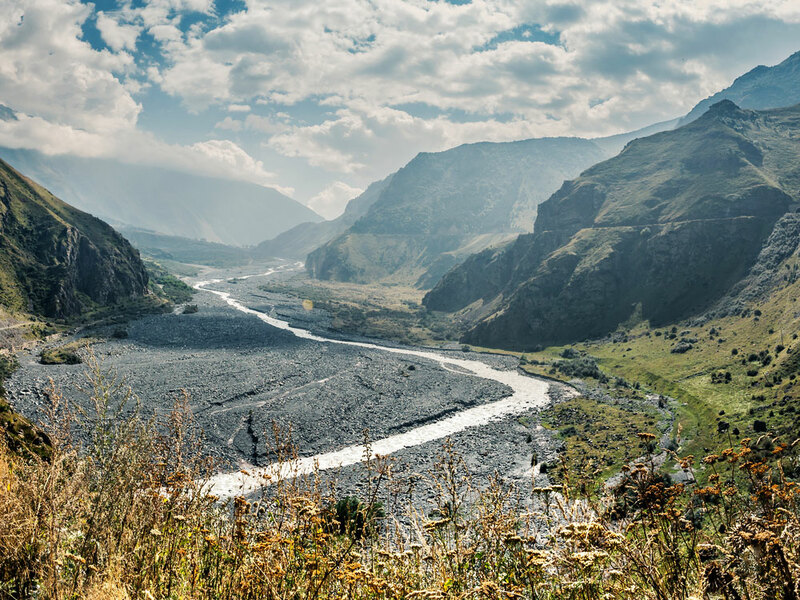 The Aragvi River and its basin are running along the southern slopes of the Caucasus Mountains of Georgia. The Zhinvali Dam, that was built on Aragvi river in 1986, and its 130 MW hydro-electric power station generate much of Georgia’s electric power, form the Zhinvali Reservoir, on the north-western shores of which rises the Ananuri castle with its 17th-century Church of the Assumption. 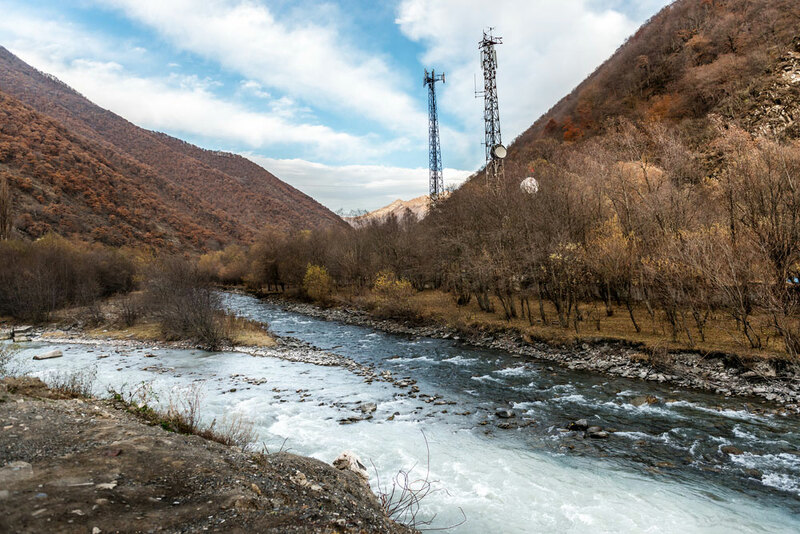 The Tetri Aragvi (“White Aragvi”) flows from Gudauri down to the town of Pasanauri, where it is joined by the Shavi Aragvi (“Black Aragvi”), before flowing south to merge with the Mtkvari River by Mtskheta, the Eastern Georgia’s ancient capital city, just north of Tbilisi.